A diverse and popular vacation destination in the Mexican Caribbean, the Mayan Riviera is a 130 kilometer stretch of Caribbean coastline between the resort city of Cancun in the north to the Mayan ruins of Tulum in the south. Being a part of the magnificent Yucatan Peninsula, the Riviera Maya has much more to offer than just its pristine beaches. Every year millions of visitors flock to the Riviera to relax on the white sandy beaches of Playa del Carmen and Cancun, explore the ancient Mayan ruins of Tulum, experience the beauty of the reefs in the Sian Ka'an Biospere Reserve and enjoy a sunset charter cruise on the turquoise blue waters of Soliman Bay. There are many popular boat excursions to suit all groups and preferences, and a few extra goodies that you would not enjoy the same or possibly not even find elsewhere. Check them out here! 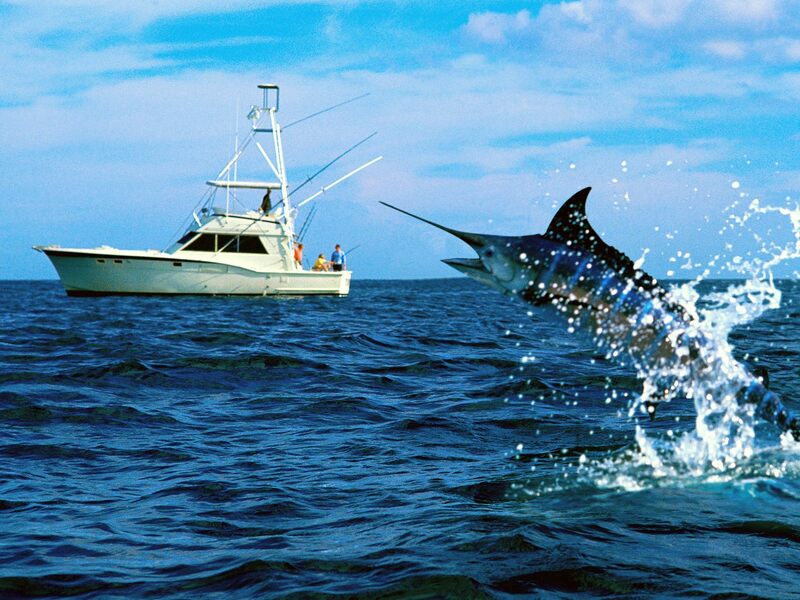 • Fishing Tours: With world-class locations for deep-sea fishing, sport fishing and salt water fly fishing, you’re guaranteed to have a one of a kind experience out on the water at one of the many locations along the Mexican Caribbean coast. From the small fishing village of Puerto Morelos to the best saltwater fly-fishing site on the planet – Xcalak, the selection of amazing fishing destinations in the Riviera Maya are a splendid surprise to both beginner and experience anglers. Expect to fish Blue and White Marlin, Sailfish, Dolphin Fish, Kingfish, Wahoo and Barracuda year round. Trolling is understandably super popular in the Cozumel and Cancun areas. Bottom fishing in Cozumel offers a solid chance of catching Grouper, Motton and Yellowtail Snappers, Triggerfish, Amberjack, as well as various reef fish that populate the area. 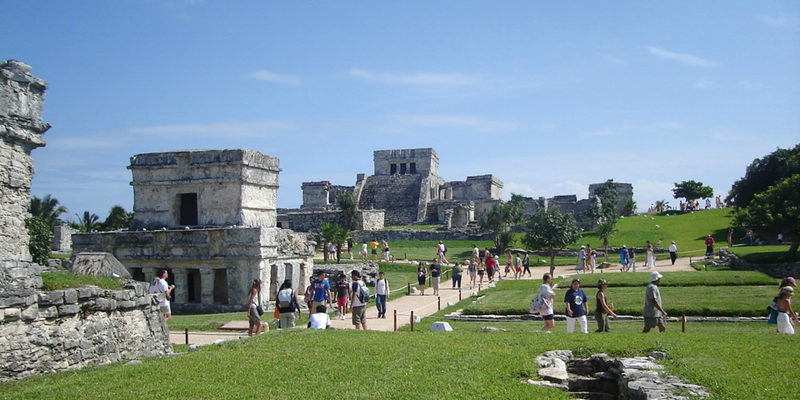 • Mayan Ruins Tour: One of Mexico’s most popular tourist attractions, Tulum offers a glimpse into the ancient and fascinating world of the pre-Columbian Mayan culture. These stunning ruins feature ancient temples and pyramids with their artistic splendor that will leave you breathless. The archaeological site of Muyil is the most naturally diverse and one of the oldest Mayan ruin sites, dating back to 300 BC. Feel the magic as you walk through the Muyil ruins, explore the lush tropical forest and admire its local flora and fauna. After exploring the ancient trade city of Muyil, enjoy the spectacular views of Sian Ki'an Biosphere Reserve on your way to a unique river located in the heart of Sian Ki'an after crossing the Chunyaxché Lagoon through ancient canals on board your own private boat charter. • Cenote and Cavern Diving Tour: Riviera Maya is the mecca for cenote and cavern diving as it is home to the world’s longest and oldest underground subterranean river system. There are number of cenotes and caverns in the Riviera Maya, each with its own charm and characteristics such as beautiful stalactites and stalagmite formations, speleothem, glittering sunlight effects, unusual fauna and flora, and much more. Cenote Dos Ojos, located 40 minutes from Playa del Carmen, is the most famous place for enjoying cave diving. 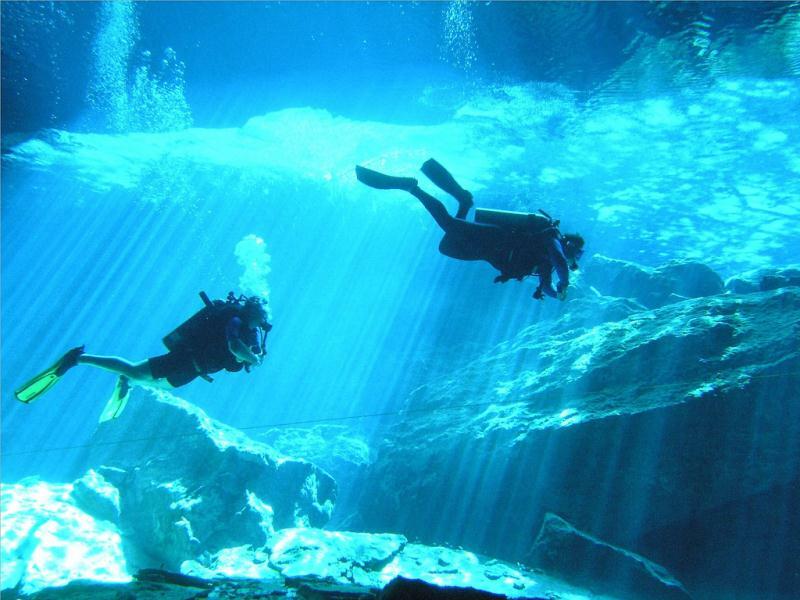 Other thrilling cavern diving locations in Riviera include Tajma Ha, Jardín del Edén, The Pit, Kukulkan, Gran Cenote, Angelita and Chac Mool. • Sunset Cruises: Experience the sunset like never before while cruising along the beautiful coastline of the Riviera Maya aboard a luxurious catamaran, motor yacht or luxury boat. Relax with your friends or loved ones as you feel the cool breeze while sipping cocktail and enjoying your gourmet cuisine. Glide over the shimmering blue waters as the nature transforms its color from one moment to the next. 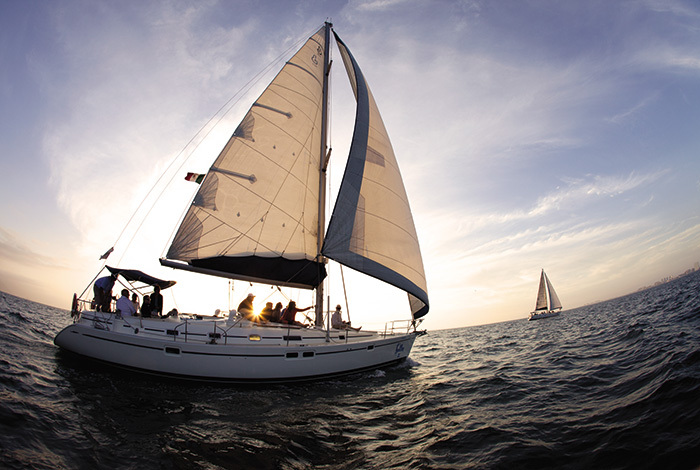 Whether you're looking to experience the most romantic sunset on the best beach of the Riviera Maya – Maroma Beach or desire to have an unforgettable evening of sailing, wining and dining in Playa del Carmen, a private sunset sailing excursion is the best way to celebrate your special day when you're in the Riviera Maya. 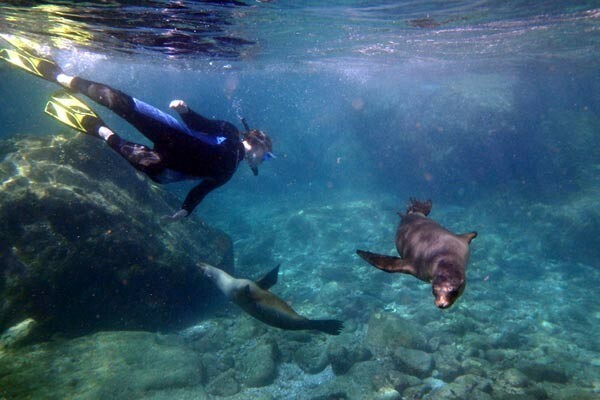 • Sea Adventure Tour: Whether you're a diving enthusiast or looking for the most amazing place to enjoy snorkeling for the first time, the Mesoamerican Barrier Reef System, with over 500 fish species and 100 coral types, gives you some of the best snorkeling and diving opportunities in the Riviera Maya. The waters surrounding Cozumel, Playa del Carmen, Puerto Morelos, Tulum and Akumal boasts numerous colorful reef fish and other marine species including giant anemones, fire corals, black corals, queen conch, turtles, shrimp, countless other small fish species. Swim with sea turtles in warm and clear waters of Akumal or head to the idyllic beach of El Cielo to enjoy snorkeling with starfish. Apart from snorkeling, swimming and diving, you can even enjoy parasailing, kayaking, jet skiing and other water sports during your private sea adventure and boat tour. Experience the best of Riviera Maya and its surrounding destinations via the above mentioned popular boat trips. From sunset cruise charters Riviera Maya to sea adventure tours, book your own private boat charter for a vacation filled of enjoyment, exploration and adventure in this beautiful Mexican Caribbean destination.